North American and European Monster Hunter fans have something else to look forward to on January 26. 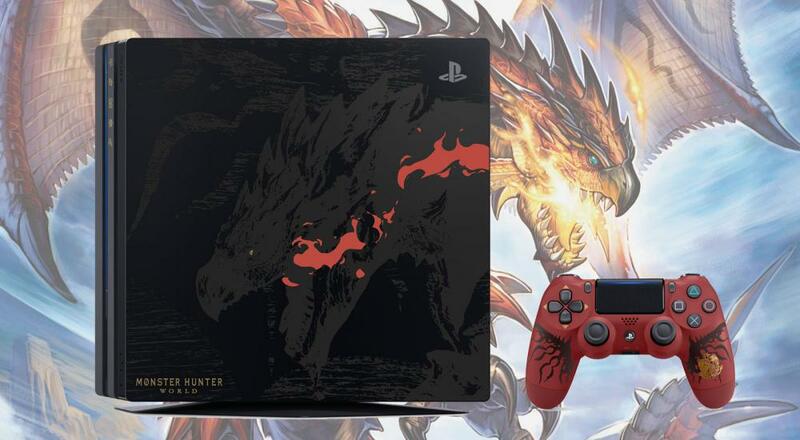 In addition to the launch of Monster Hunter: World on PS4 and Xbox One, both territories will be able to pick up a limited edition PS4 Pro bundle that not only includes the game, but a 1 TB PS4 Pro with a Rathalos on it and a stylized DualShock 4 controller. The bundle will retails for $449.99 and is only available through GameStop. According to the PlayStation Blog post, it will be in "very limited quantities," so, you know, if you REALLY like Monster Hunter and you REALLY need/want a PS4 Pro, then you'll have to check in with your local brick-and-mortar and do the whole pre-order song and dance. As a reminder, there's another open beta for Monster Hunter: World on the PlayStation 4 starting this Thursday/Friday, depending where you live. You can download the beta starting tomorrow and check here for when it goes live. No PS+ subscription is required in order to participate/play. Page created in 0.4378 seconds.